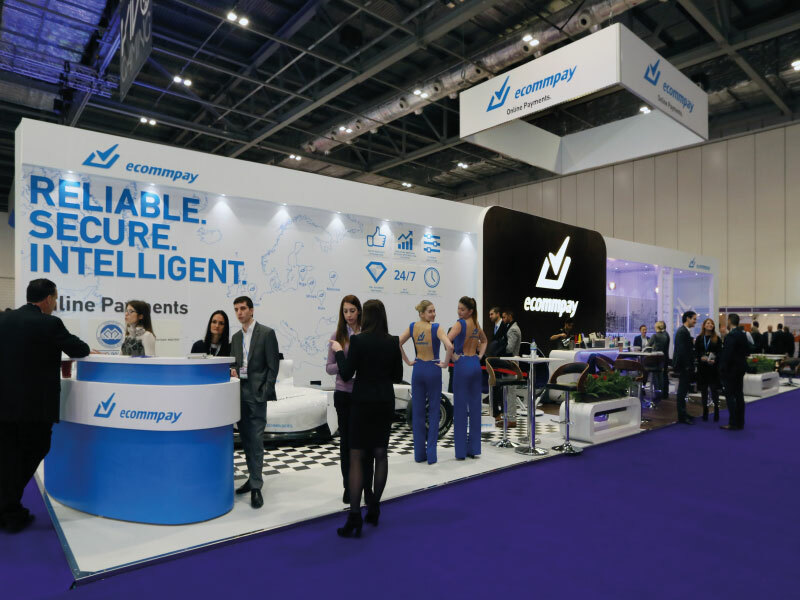 ECommPay deliver elegant, secure payment processing solutions to businesses around the world, and we successfully won the pitch to design and roll out their exhibition stand at ICE Totally Gaming, one of the gaming industry’s biggest trade events. 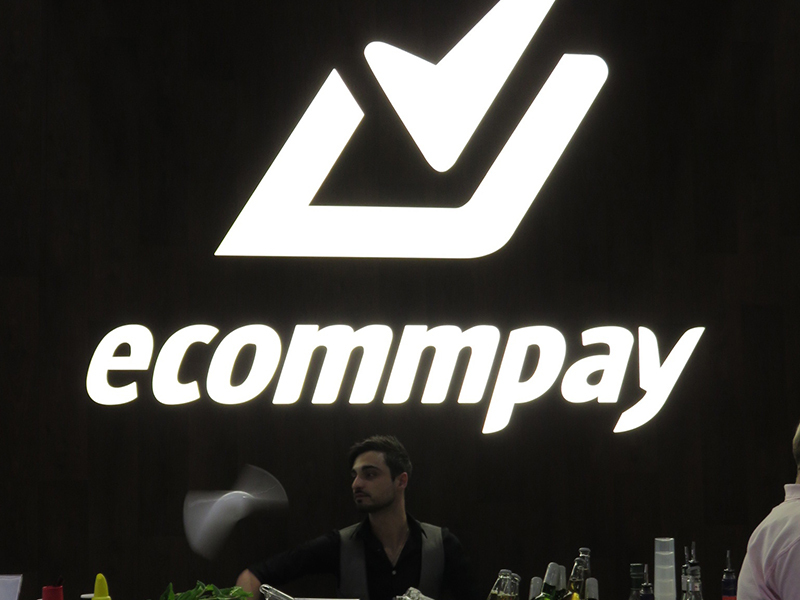 Our brief was to create an upmarket, sophisticated stand that drew in new prospects and generated buzz around the ECommPay brand. The final stand took up 110m2, with three exposed sides. It was divided into three separate areas with completely different attractions in, and purposes behind, each area. The on-stand attraction was the main draw, showing off a 1:1 scale F1 simulator, and this was supported by a social area with a fully stocked bar and flair bartender, as well a designated meeting area for VIPs. 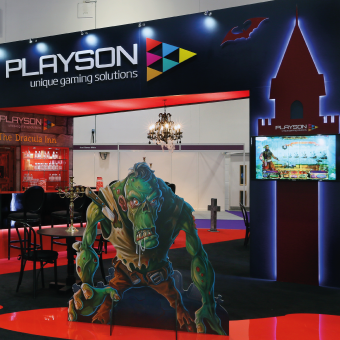 The stand was branded with a large backlit logo located right behind the bar, as well as a suspended box banner. 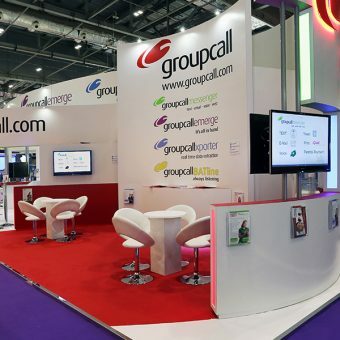 To give the VIP area a greater air of exclusivity, we incorporated printed fabric voiles into the social area of the stand – not only presenting further opportunities to display the brand, but providing privacy to the meeting rooms as well. 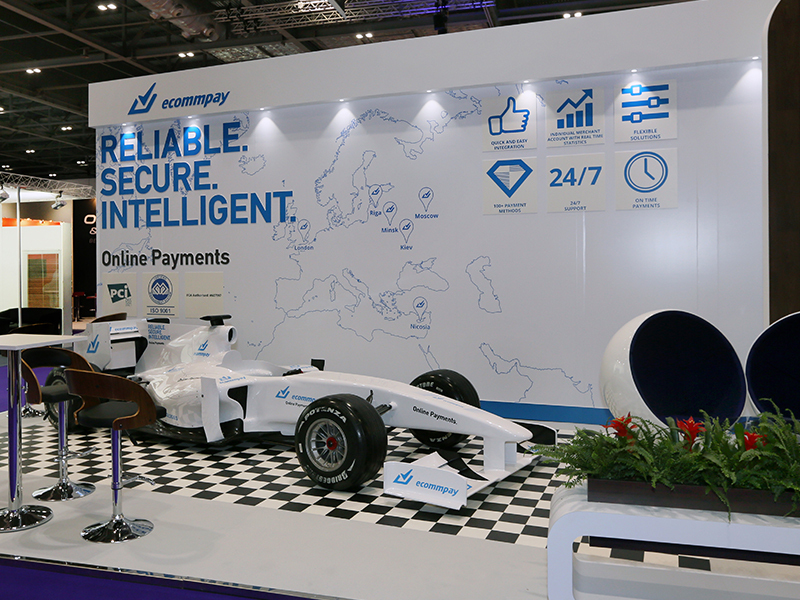 The ECommPay branded F1 simulator and fully stocked bar were all too enticing for attendees, making our stand one of the best attended and most frequently visited stands at ICE 2015, and as such, we didn’t struggle to deliver when it came to bringing in prospects.